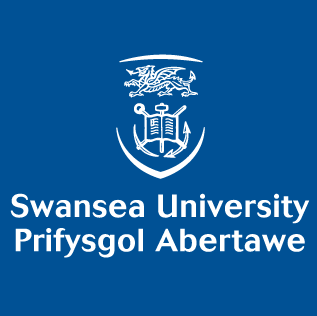 My Baggage offers student shipping to and from Swansea University. My Baggage is the No.1 student shipping company for Swansea University students. We offer an affordable, fast and reliable service to allow students to effortlessly transport their luggage to and from university. At My Baggage, we understand that you want your move to university to be as stress-free as possible. The last thing you want to be worrying about is panicking about how you’re going to get all of your belongings there (and back). We’re experts at this, so we provide a service you can rely on. Sending your luggage with My Baggage is easy. Start by getting a quote, then complete our secure online booking process. Once you’ve booked, we’ll send you some labels to print and attach to your item. After that, we’ll collect your item and deliver it straight to its destination. For as little as £16.99, you can send a box or suitcase weighing up to 30kg using our service. 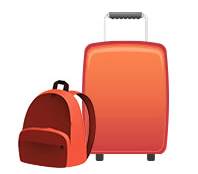 Students can save both time and money when it comes to sending their luggage with My Baggage. Luggage shipping to over 200 countries worldwide. Quick, easy and secure online booking system. Once you’ve made your booking, you will be provided with full online tracking as well as SMS and email notifications so that you will be able to monitor the progress of your luggage as it makes its way to its destination. It’ll update to let you know when your luggage is out for delivery, so you’ll know exactly when to wait for it. If you happen to have any questions or concerns along the way, we have a dedicated customer support team who can help via phone, email and live chat. Don’t be afraid to contact us with any queries you might have! My Baggage provides a convenient door to door service, saving you from all of the hassle. That means that our drivers can collect your luggage straight from the front door of all houses, student houses, flats or apartments and deliver it straight to your address at university. If you need luggage collected or delivered to a halls of residence at your university, please ask your university where the luggage collection and drop off point is located. Typically, this will be at a reception area or postal room. This is where our drivers will be able to collect and deliver your items. You can be sure that when you choose to transport your luggage to and from university with My Baggage, your items will be delivered quickly. We offer super fast delivery times, with 1-2 day delivery within the UK and 3-4 days for international shipments. We even offer an Express service for both domestic and international shipments – so it won’t be long before your items arrive with you safe and sound. If you are an international student studying at Swansea University, My Baggage can help you transport your luggage wherever it needs to go! My Baggage is the welcomed student shipping solution. It’s much more affordable than paying extortionate airline baggage fees to get an extra bag on your flight, and it’s certainly more convenient than carrying heavy bags with you on public transport. 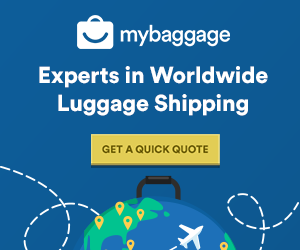 My Baggage sends luggage to over 200 countries worldwide and offers fantastic low costs and super fast delivery times on items sent overseas.